When I first started working alongside the community of Masatepe, I had just spent a decade working in the homebuilding and real estate industries of Central Indiana. It may seem an unlikely transition to a lifestyle of working alongside the poor and oppressed in Nicaragua, but this was God’s way of preparing us for the real work of community transformation. 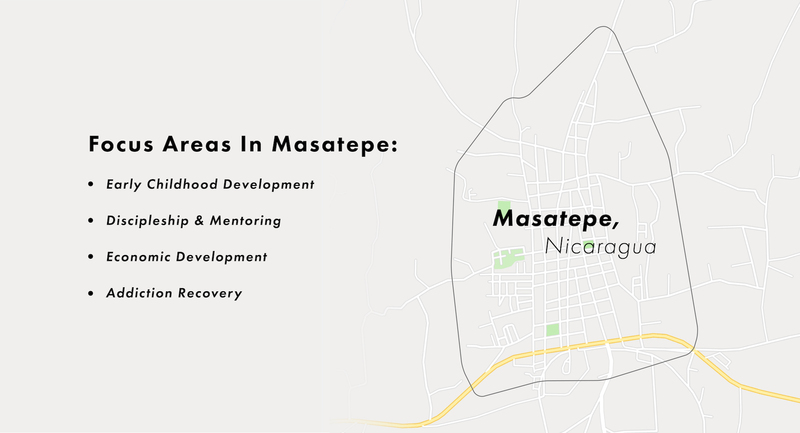 I quickly found myself using my skills as a general contractor in bringing together the many different people it takes to get the job done to develop strong networks among key people in Masatepe. I spent my first few years listening to locals and doing my best to learn what strengths and resources the community had to offer. We met a number of incredible Nicaraguans who were already working in inspiring ways to see transformation take place in their own backyard, but when I met Leonel, there was an instant bond between us. There was something special about the way he viewed his hometown, and in our first meeting, I shared with him a vision to see Masatepe transformed by the power of God. Leonel smiled as he pulled out a notebook and slid it across the table to me. In it, he had years’ worth of plans and opportunities to build the very work I had just described. He already had the vision. He already knew who was at work. He already knew what was possible. He was simply looking for a way to get everyone working together to see his community transformed. And that’s what happened! People worked for fair wages doing meaningful work, families stayed together and invested in their own community, and everyone saw the power of Jesus to transform Masatepe. In April of this year violent rioting broke out across Nicaragua, and the work and plans developed together over the past years were about to be tested by fire. 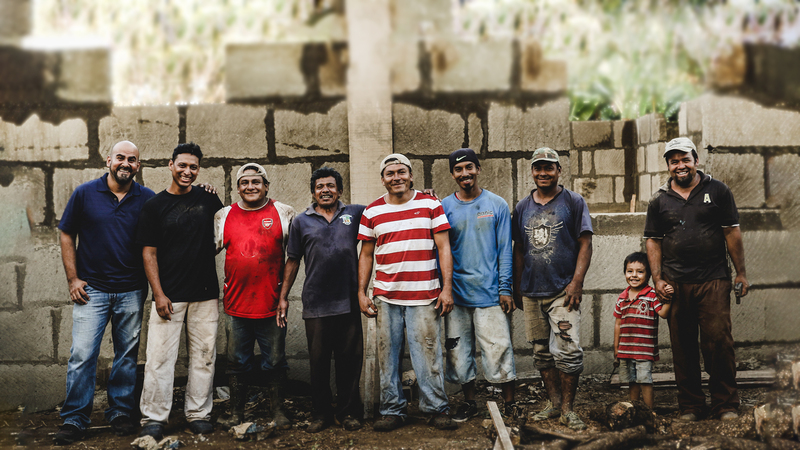 Multiple social businesses depend on the stability of the local economy, and a team of 45 staff members, both Nicaraguans and Americans, are dedicated to the projects, partnerships and ministries we are involved in. They all depend on the safety and stability of the country in order to carry out the overall mission. Then, the U.S. Embassy pulled its workers and the evacuation of foreigners went into full swing. We had to accept the difficult decision to move the entire American staff stateside. This left every project and business on the shoulders of the remaining 25 Nicaraguan staff members. But they were trained and prepared for this. Building strong Nicaraguan leadership was mission-critical to stewarding the many important things God was accomplishing in Masatepe. Almost three months since our exit from Nicaragua, we’re still in awe of how our Nicaraguan team has stepped up to lead and remains strong in these incredibly challenging times. Leonel, and many other leaders like him, have risen to the occasion, balancing the difficulties they are facing personally with the challenges of operating projects and ministries. This is the very picture of sustainable community transformation at work! I am so pleased to report that not a single business or project or partnership has been interrupted despite everything our team and our community have been faced with. Because the team was built on the foundation of bringing together local strengths to meet local needs and using sustainable business practices, the work goes on after we were forced to leave. Leonel and I play different roles in this work today, but what hasn’t changed is our shared heart to bring people together to help Masatepe. By combining our networks and connecting people around a shared goal, we have formed a dynamic partnership that God has used to transform the community.